While re-arranging the shelfes, i freed up a second one for my Inq28 / Necromunda / Inquimunda Collection. So i decided to proceed doing inventory and basing some of my collection. Therefore i needed to restock on bases. 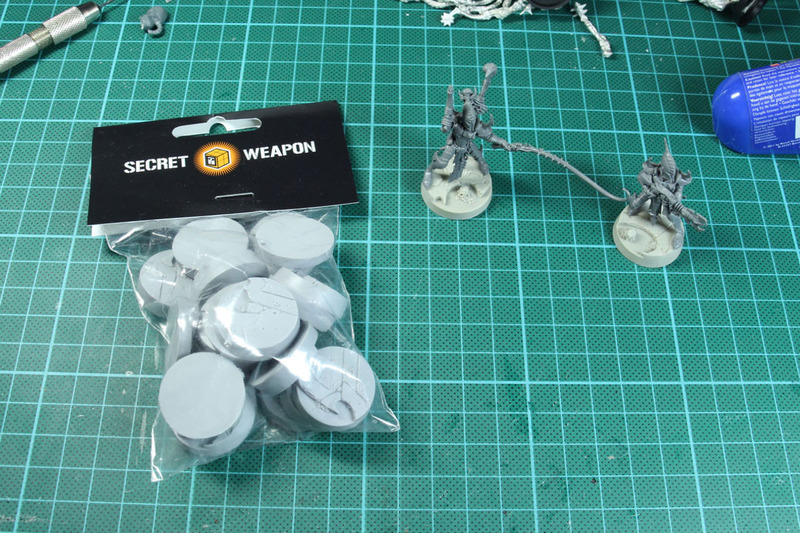 My Dark Eldar Warband is based on some Voodoo Worx Alien bases, that range was sold to Secret Weapon, so i had to buy them in the states. 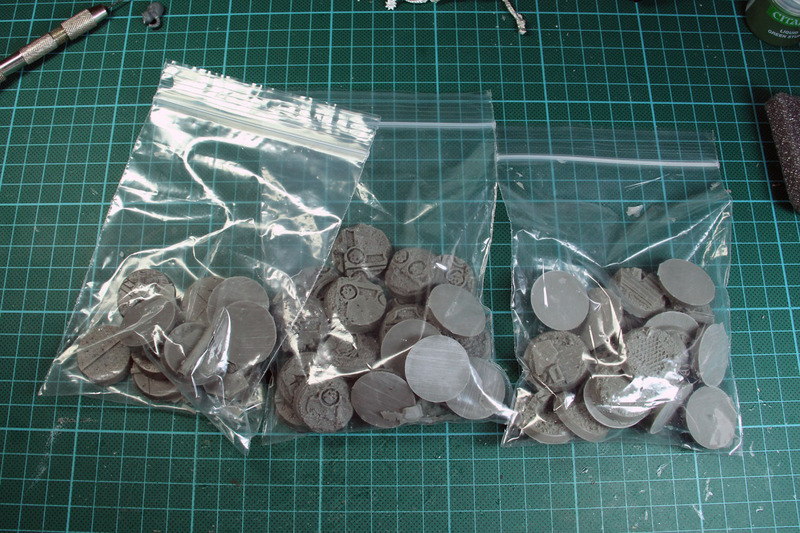 Fun fact, they arrived at the same time as the Dark Art Bases below, ordered in the UK. 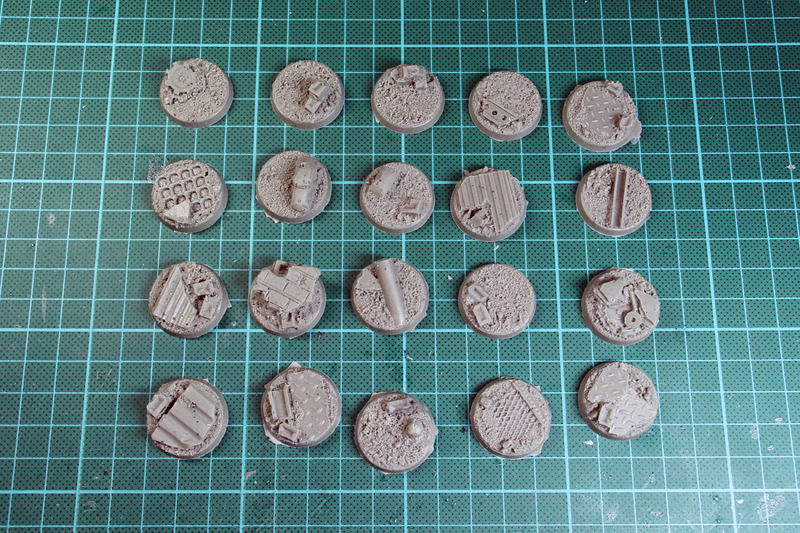 Dark Art Miniatures has a broad range of bases and i use them all over for my grim dark miniature collection. 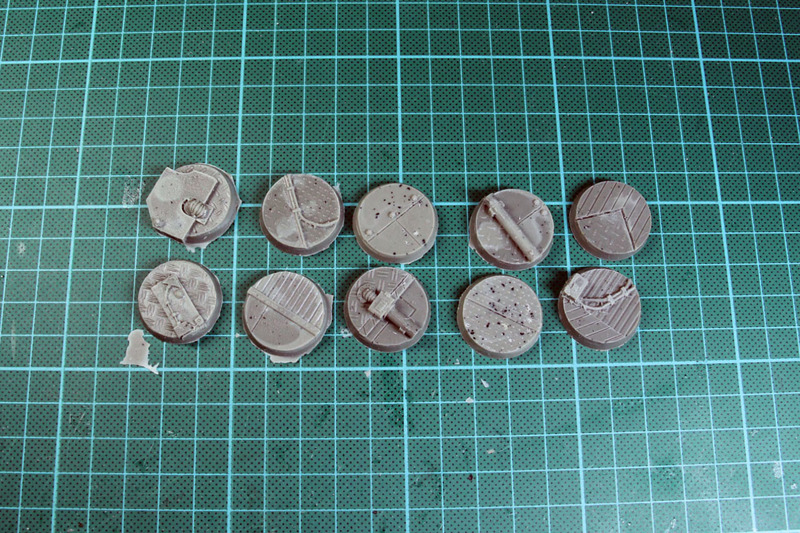 I got myself a restock of the urban bases, and went for two new designs, the tomb and sci-fi deck. 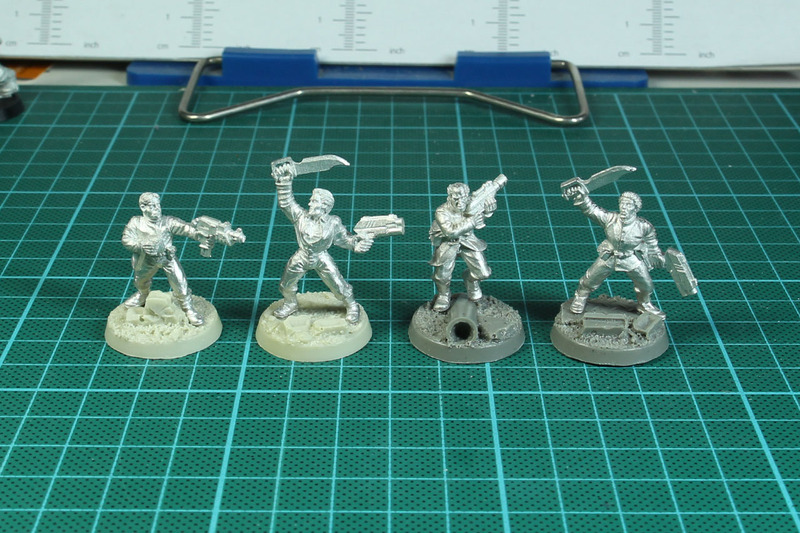 They come for a good price, a set of 10 for 3,50 GBP. 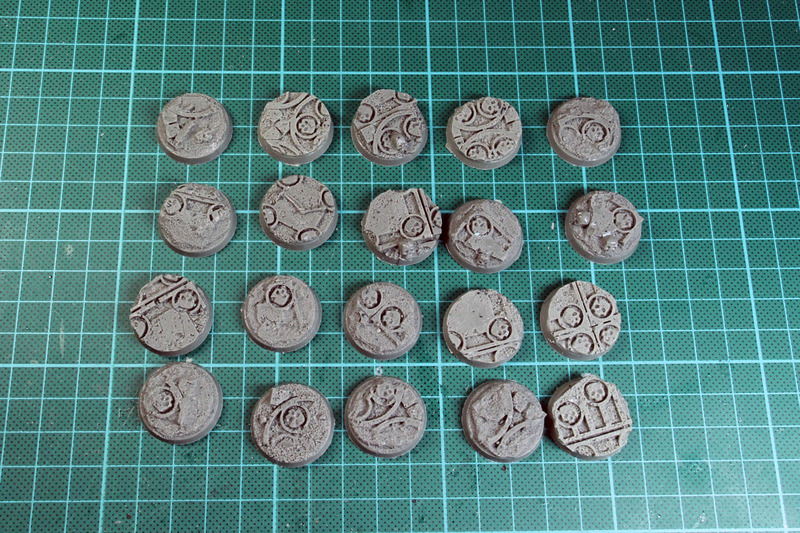 But i noticed that the quality of the casting has decreased, a lot of flash and a few more air bubbles than before. 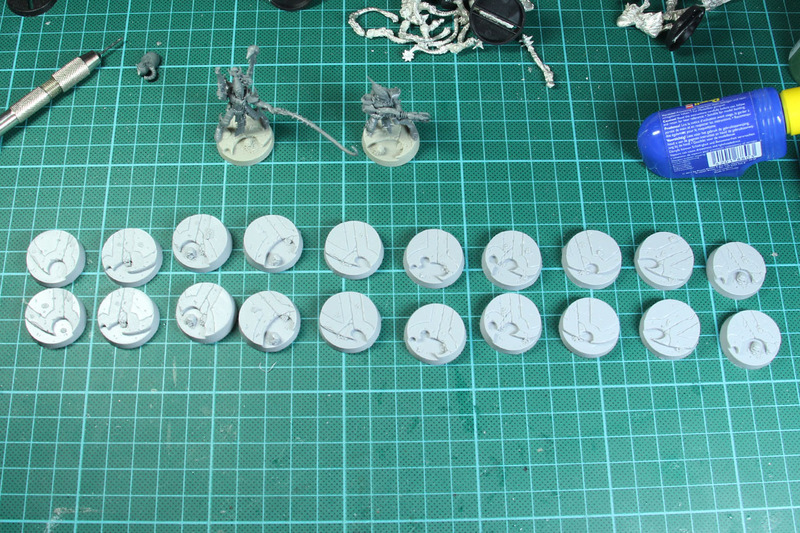 So let's get started, putting some metal upon resin bases. 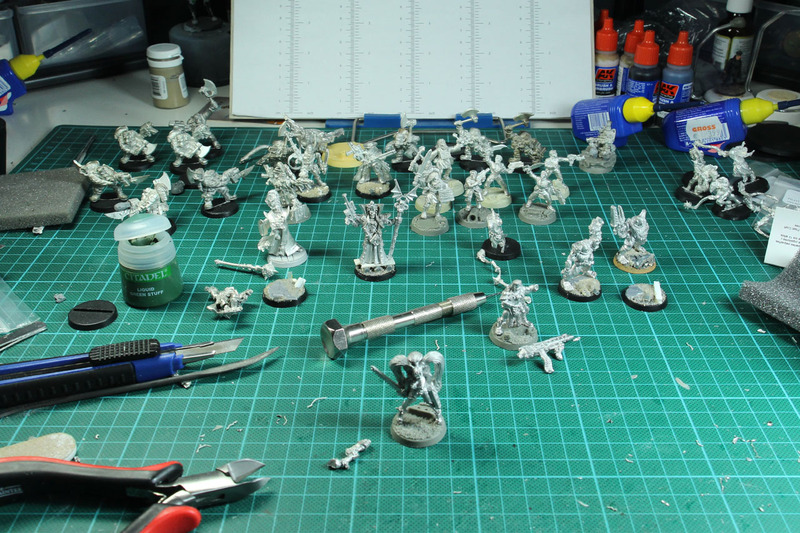 I have managed to build up quite a large collection of hard to find and rare stuff from the old Necromunda range, Mordheim and other stuff that i found usefull or fitting for the setting. 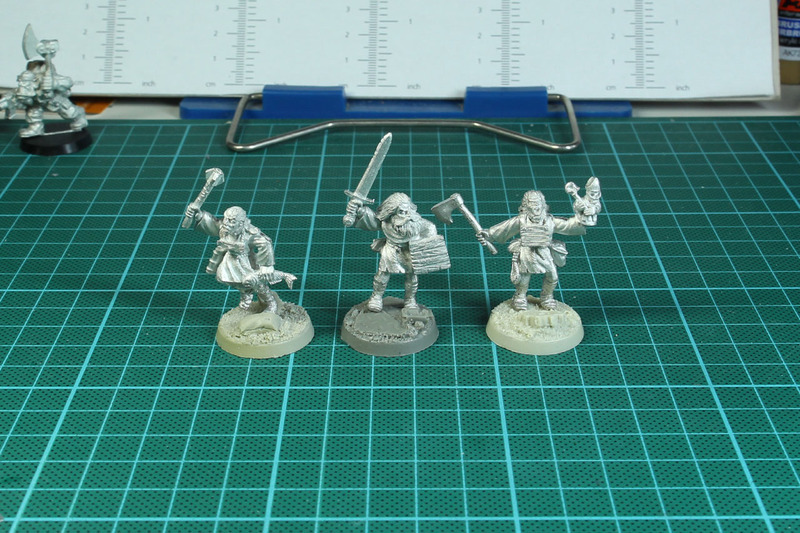 So as henchmen i went for some Frateris Militia from the old Battle Sisters range and some Mordheim flagellants. 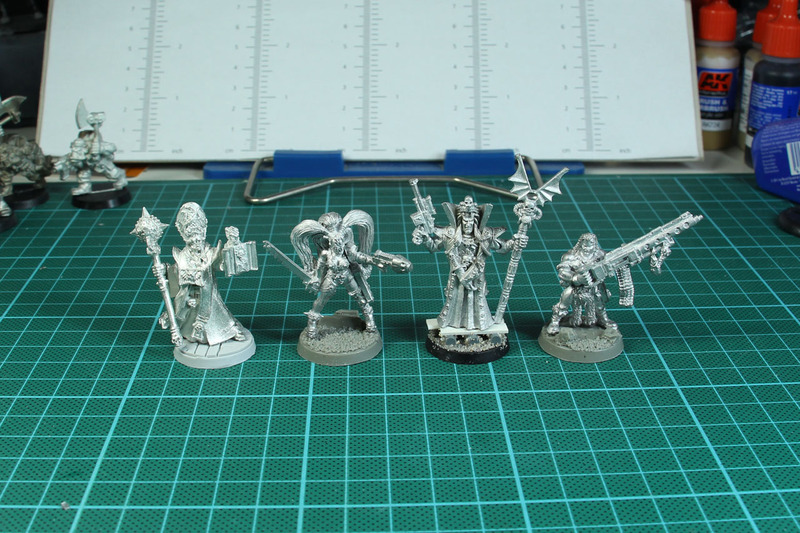 Next up some charming Dramatis Personae, first Redemptor Kyrinov, Mad Donna Ulanti, Karloth Valois and Brakar. 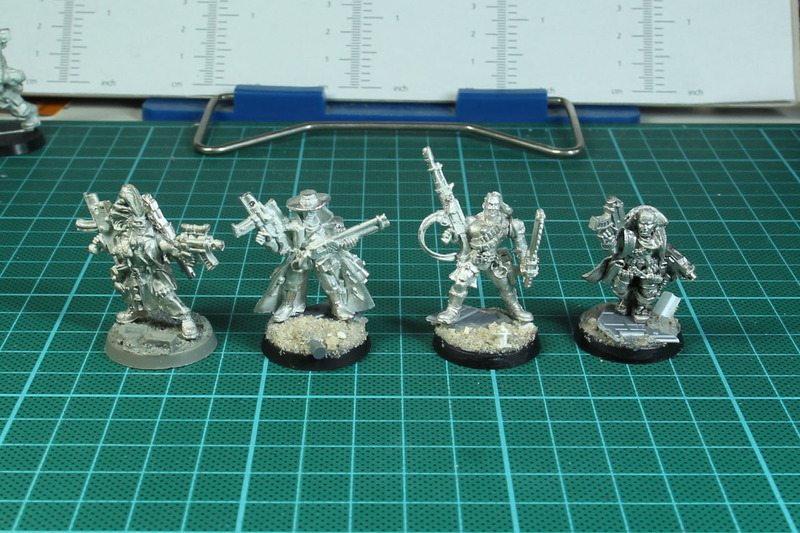 And in the next picture a set of four bounty hunters. So much for Part One of the re-visit of the Underhive.